Remember all your passwords? We’re in a technological lag, where introduction of biometric recognition systems remains slow. Avoid “easily identifiable personal info” e.g. your football team or your own birthday. So… how can you easily comply with all this! Start with something obvious: password. Swap letters for similar looking numbers and vice versa. so it becomes p@55w0rd. Unlike email addresses, passwords are ‘case-sensitive’. Use capitals in an unconventional but memorable position: P@55w0Rd. A cryptography technique: add extra characters in an unconventional position. Eg relatives birthday or your car reg for letters. If your uncle was born in 1935, using YY format and salt the password to P@55w035Rd. So 35 becomes £%, making your password P@55w0£%Rd. If someone were to gain your password, ensure it doesn’t give access to somewhere more serious, like email. Salt passwords with 3 characters relating to the site. eg for Gmail: P@55GMaw0£%Rd. 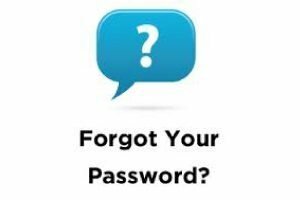 Often asked when you lose your password, it can be hard to remember what you put, years earlier. This is because your ‘favourites’ often change ! Phrases can help you remember car reg numbers. So reverse this method to come up with an impossible password to crack. The phrase “Hold on tightly, let go lightly” becomes “h0+,lgL”. Pick a very simple foreign word. For instance the word left.